Must possess a master’s degree from an accredited program in Speech-Language Pathology. One year of supervised professional experience in providing Speech-Language Pathology services. Must possess current license as a Speech Language Pathologist from the Commonwealth of Pennsylvania or made application for same. Must have the use of an automobile in good working condition and automobile insurance. 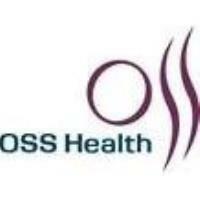 To view and apply for our job opportunities, please go to our website osshealth.com and select - Join our Team!.